Want to link your domain to Playbook, Dribbble's instant portfolio service? We can do that! 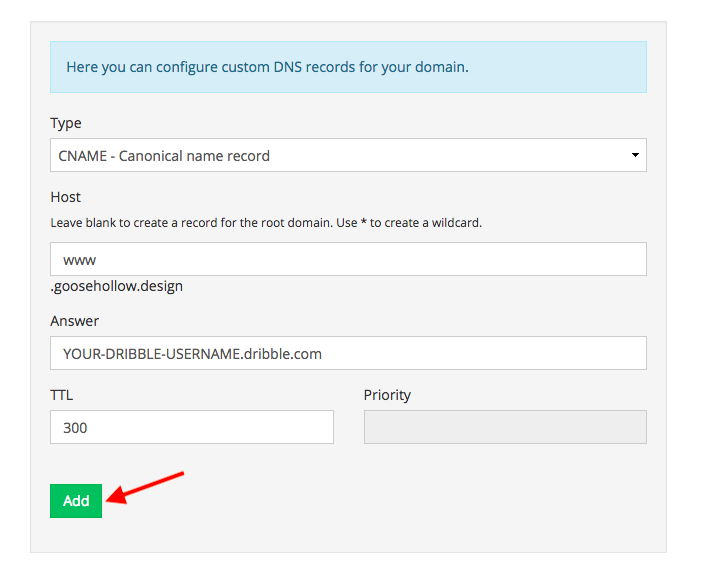 [while logged into Playbook] choose “Custom Domain” in the customize pane, enter the domain you wish to use and hit Save. 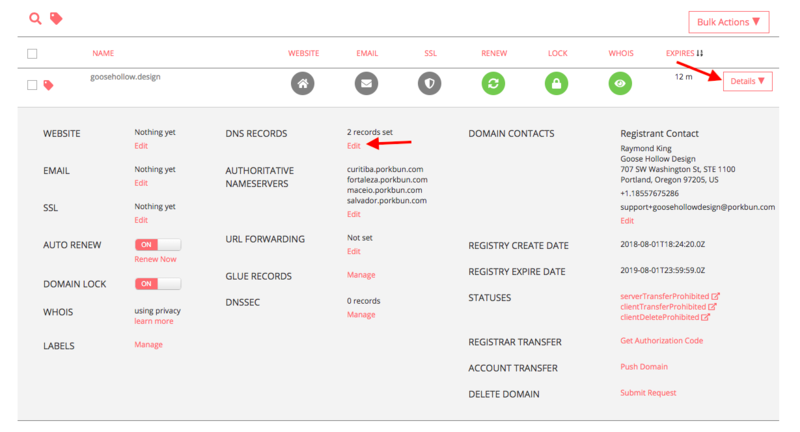 Click the drop-down list to the far right of your domain and click the "Edit" option next to DNS Records. Change Type to "CNAME - Canonical name record." …where YOUR-DRIBBBLE-USERNAME is your actual username. 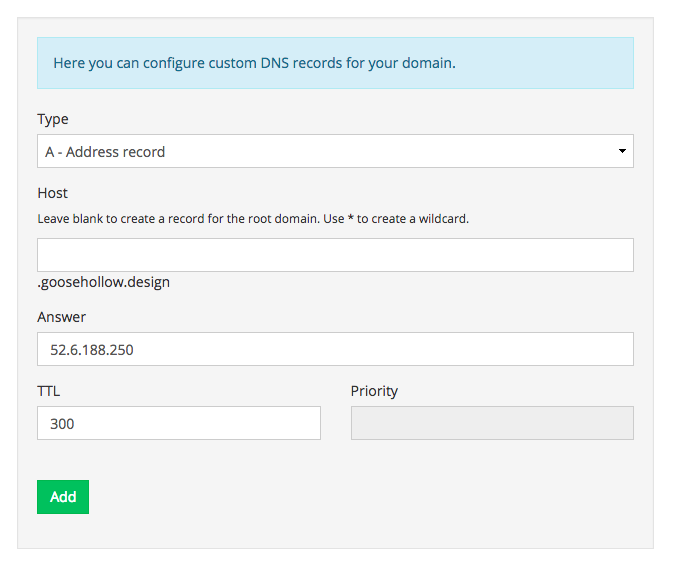 Scroll up to the top of the Manage DNS Records screen to add an A record. Change Type to "A - Address record"
That's it! After five minutes or less, browser requests to your domain should start resolving to your Playbook site.